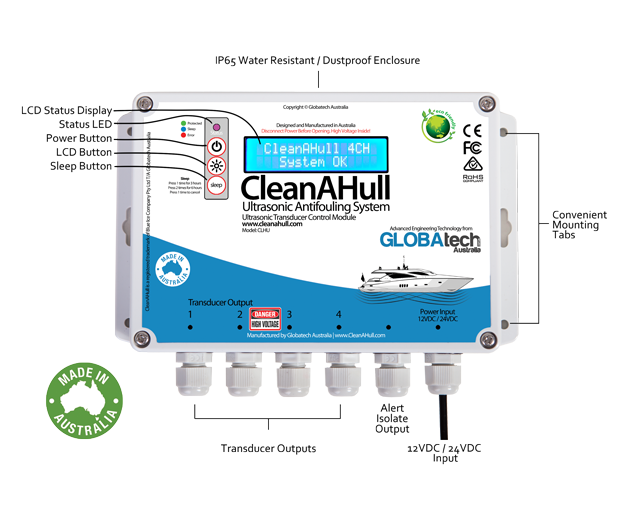 The CleanAHull Ultrasonic Antifouling system maintains a hull clear of algae and barnacles. Improving performance and fuel efficiency. The CleanaHull Ultrasonic Antifouling protection system utilises industry leading technology and the latest in-house developed transducer technology. 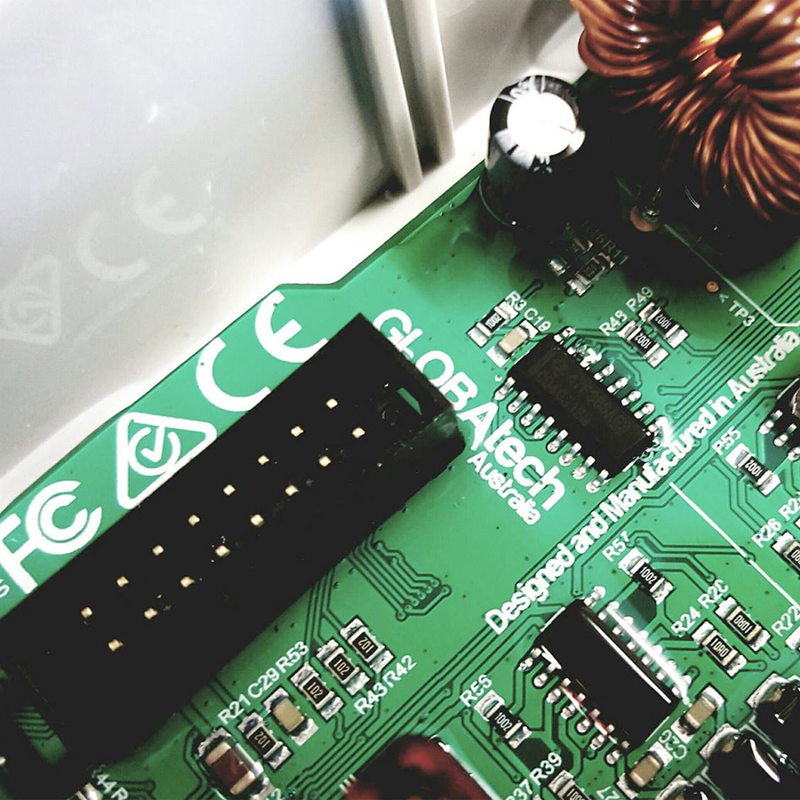 By emitting multiple very specific frequency bursts through a vast range of frequencies the system protects the hull from algal growth and barnacles. Installation of the Ultrasonic system is very simple. This video here shows the process of installing a transducer on a GRP Fibreglass hull. Subscribe to the CleanAHull Mailing List to keep up to date.